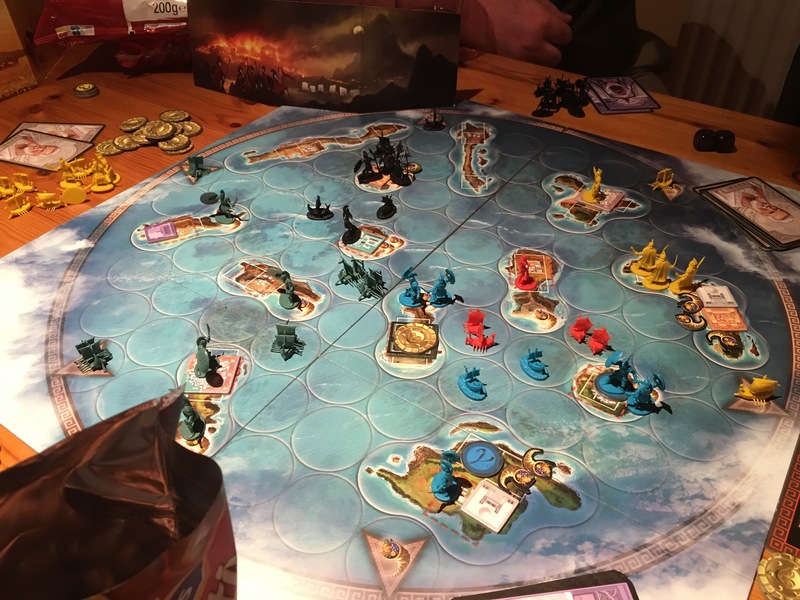 Cyclades (pronounce it as you will) is another decent game from Matagot. I played it some time back which prompted me to get Kemet. If Kemet is a knife fight in a phonebox then Cyclades is a rolling brawl in an open plan call center. Players are racing to erect (oh err) or take ownership of, two metropolises which themselves are make up of four different temples each dedicated to different gods. This plays out on a fairly tight archipelago map. So far we have islands, Greek mythology and map based conquest. The good news is it doesn’t go all terribly wrong after that. 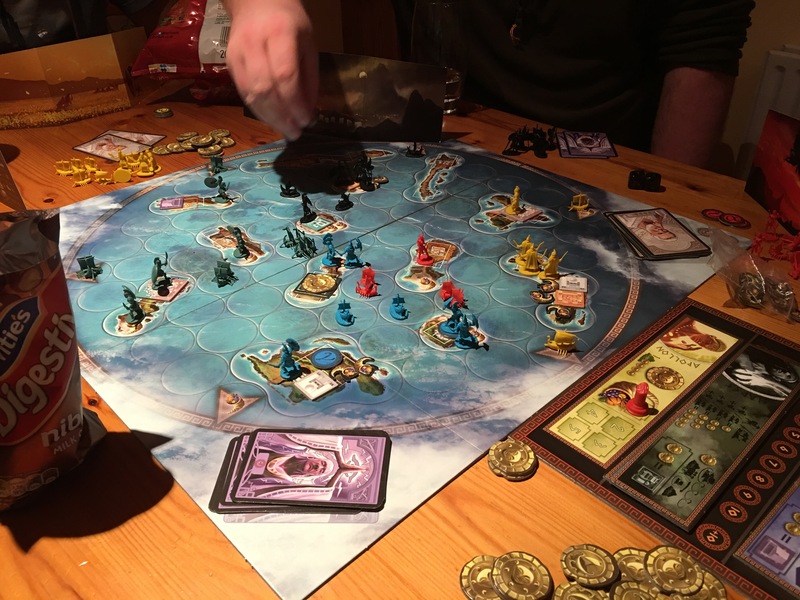 Each player starts with a couple of soldiers (straight out of Jason and the argonauts), a couple of ships, a small stack of cash and bidding begins in the form of offerings of gold to the gods. There’s five gods each of which if your open bid is the highest grant you an action of some sort. 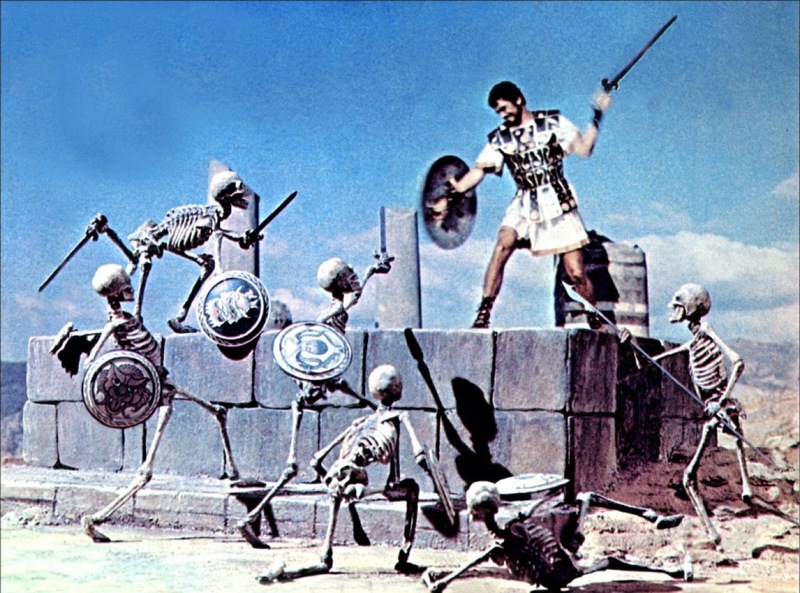 Ares allows you to buy men and move them. Let’s pause there. Unlike other games this is the only way to move your dudes and attack. Poseidon allows you to buy ships and move them. Again the only way to move ships. Athena gives you a shortcut in the form of cards that can be cashed in to build A metropolis. The other dude old whatshisbame gives you priest cards that give bonus coins for bidding and the last chap mr something or other gives you cornucopias which enrich your islands and give you bonus coins each turn. This is a great little game. It’s well produced. Artwork and components are good quality. I particularly like how each player has a different army model to everyone else. The game is fast, the mechanics neat. There’s nothing particularly new here but it fits together beautifully and makes a magnificent whole (oh err). I’m a sucker for map based conquest and this is one of the better ones.